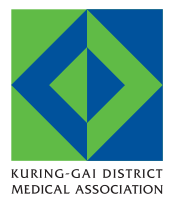 The Kuring-gai District Medical Association is the largest local medical association affiliated with the Australian Medical Association and is probably the oldest, having its beginnings in the 1930s. Its members include Specialists and General Practitioners along with salaried doctors and welcomes medical students through prizes and free membership. The KDMA provides a uniquely relaxed environment unusual in professional associations. The collegiality, social and medical interactions in the organisation cannot be over emphasised. Today, about 80 years later, the Association has a fully equipped office, and employs an administrator to take care of day-to-day matters and servicing the growing membership. The KDMA, as the Association is known, covers a large geographic area, stretching from Gladesville Bridge to Brooklyn Bridge, to the Manly-Warringah area in the east, and to the Parramatta area in the west. Our members are associated with the major hospitals contained within this area, viz. the Sydney Adventist Hospital, the Mater, Concord Repatriation General Hospital, Royal North Shore Hospital, North Shore Private Hospital, Hornsby and Kuring-gai Hospital, Dalcross Adventist Hospital, Westmead Hospital, Westmead Private Hospital, Ryde Hospital, Mt. Wilga Hospital, Northside Clinic and Lady Davidson Hospital. The KDMA is appreciated by the medical profession because it provides a means to meet colleagues and enjoy a social and professional fellowship. It holds bimonthly meetings with a speaker at various venues on the north shore, has an annual golf day, a ‘Looong’ weekend away from our local area, usually including golf, good food and wine and combined with medical education. The KDMA annual conference is a celebrated event, held in Australia or overseas and attracts doctors from all over Australia. Its Members are dedicated to the health and well-being of the community, and education of the community in all health-related matters. The Association by way of its regular Newsletter, keeps doctors well informed of community events. The KDMA is supported by a committee, elected each year from within the membership. Association members meet on a bi-monthly basis to enjoy an ‘educational meal’ in a local restaurant or conference venue. In addition, the KDMA has established an outstanding reputation for running a good-value and fun week long annual scientific conference, with locations to appeal to members and their families. Throughout the year, the association also hosts other social events, which have included Golf Days, Deep Sea Fishing, Trivia Evenings, and Harbour Cruises. Members are kept up to date with all happenings through a regular newsletter. Copyright © 2019 KDMA. Powered by WordPress. Theme: Spacious by ThemeGrill.